Out of the box, the Velineon Brushless Power System and Traxxas Stability Management are optimized to put down the tire-melting horsepower, neck-snapping speed, and precision throttle response you expect from brushless. Most of all, it's brushless done the Traxxas way: wicked fast and easy to use. Just plug it in for an instant rush of power and adrenaline. Stampede has always been the first name in monster truck fun, but with Traxxas Stability Management and Velineon brushless power on board, the ground-pounding, high-speed wheelie popping antics are completely over-the-top. The included wheelie bar keeps the altitude in check but with this kind of power, the wheelies don't stop just because you're going over 50mph. If you have the nerve and the skill, the fun is just getting started! With a top speed of over 65mph, the Velineon Brushless Power System is designed to let you explore the outer limits of what's possible with brushless. Chances are you've never experienced throttle response and speed like this in a monster truck. 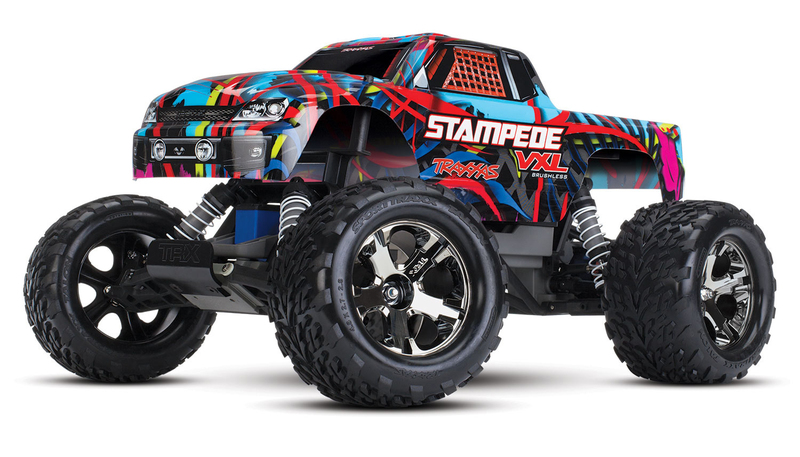 Tough and unbelievably fast, Stampede is the ultimate play truck that's always at hand, ready for instant R/C fun. 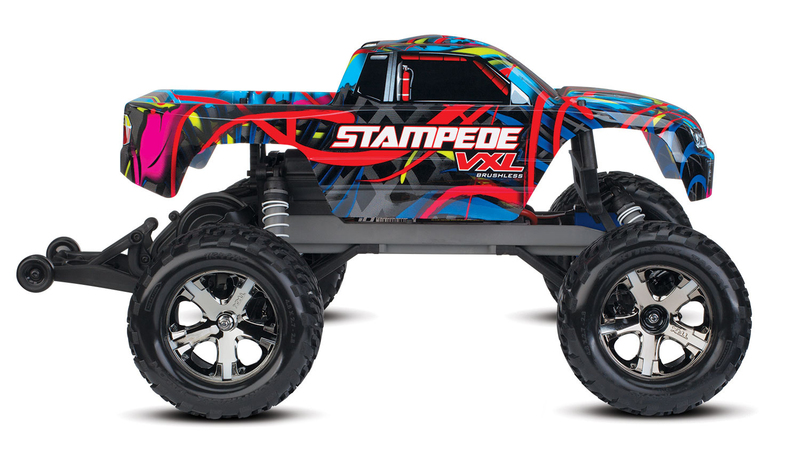 No matter what kind of R/C racing you're into, a Stampede VXL belongs in your arsenal. Stampede was the first high-performance monster truck and now Stampede VXL is setting new, previously unthinkable speed benchmarks. The world of electric monster trucks will never be the same!